Travelling across the country or various nations is quite a sport these days. Travelling has become an important part of everyone’s life but travelling could be dangerous sometimes. Road and rail accidents and plane crashes have become quite common these days. Such a plane crash took place in Nepal on Wednesday, 24th Feb 2016. The twin Otter aircraft of Tara Air boarded 23 people and unfortunately ended up in a devastating air crash. There were no survivors in this plane crash. All 23 passengers had lost their lives as the plane tore up into pieces. The main reason behind this crash was the bad weather condition. The plane was found today in the western district of Myagdi. It is said that because of the thick layer of fog the plane lost contact with the control tower and also lost control in the air. The dead bodies of all the 23 passengers were recovered. Initially 19 bodies were found with a few other body parts but soon the other dead bodies were also found. Police and army personnel reached the site today for search operations. Seven bodies have been transported to Pokhara so far and the rest of the bodies will be soon taken to Pokhara for Postmortem. The N9-AHH plane was flying from Pokhara to Jomsom when it met the accident. Due to extremely bad weather the search operations could not be commenced, however 2 helicopters were sent to the site but they had to return back but as soon as the weather cleared a bit the search parties reached the spot of plane crash. A five member committee headed by Rajesh Raj Dalli has been established to inquire into the air plane crash and they are supposed to submit their report within a time period of 90 days. The bodies of the passengers (20) and the crew men (3) will be handed over to their families as soon as they reach Pokhara and they will be flown to Kathmandu as well for the families of those people who reside in the capital. Four years ago another airplane named Agni airplane flying on the same route- Pokhara to Jomsom, could not reach its destination as well. Due to some technical errors in the plane it crashed on its way. 15 passengers were killed and 6 survived. 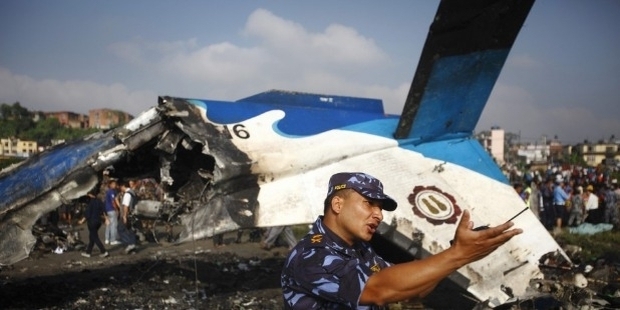 The captain tried to head back to Pokhara but it eventually dropped down and crashed. Nepal has been suffering through a lot lately. Last April it had suffered a major earthquake in its capital Kathmandu and it has not been able to recover from that trauma only that now it had to face another tragedy. 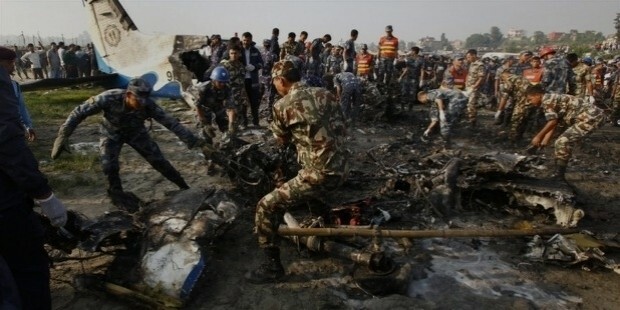 This has not been the first air crash but less air crashes are seen in Nepal. The devastated state of Nepal needs some relaxation and some time off from any sort of tragedies. Such air crashes somewhere show the reality of inexperienced pilots and poor management conditions.